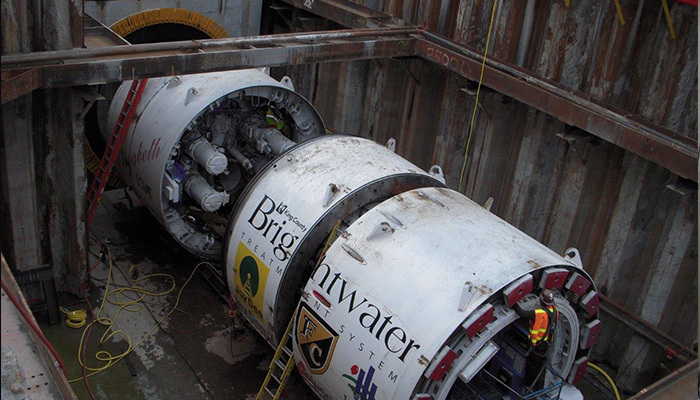 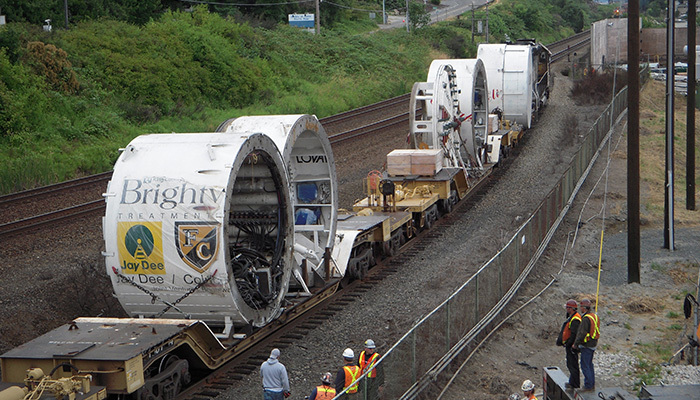 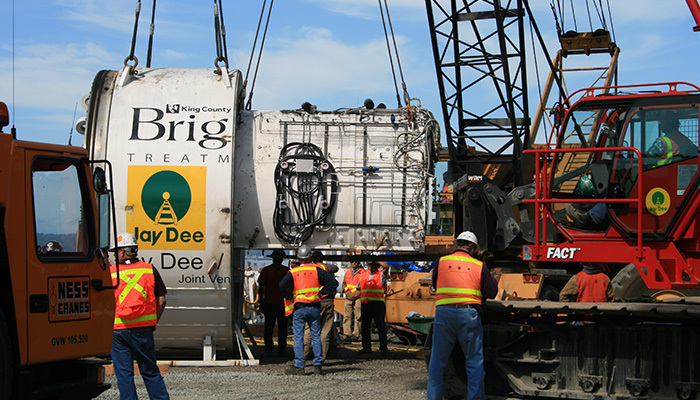 The 13 mile long Brightwater tunnel is the main component of a $1.8 billion project to increase sewage treatment capacity in King County. 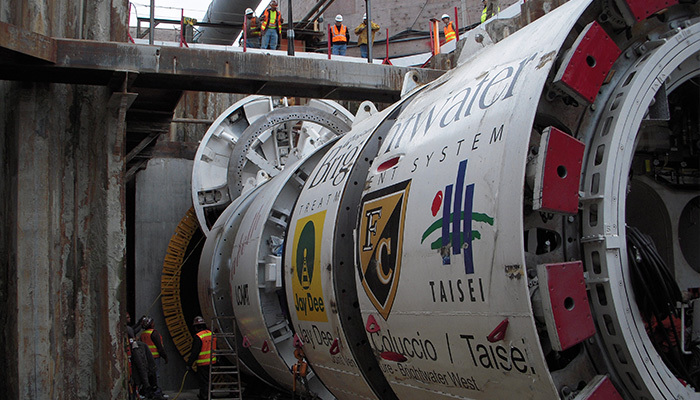 The tunnel was split into four excavation projects. 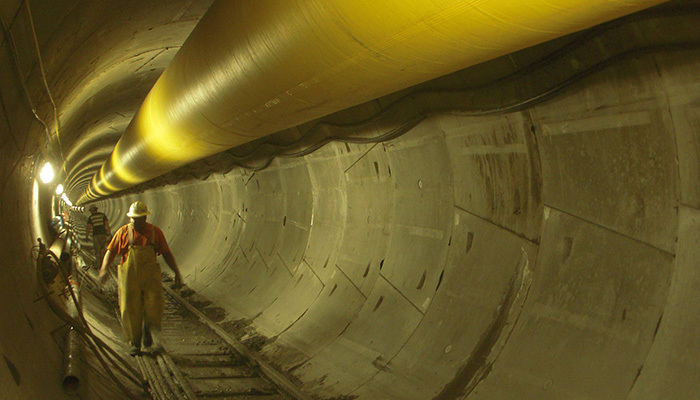 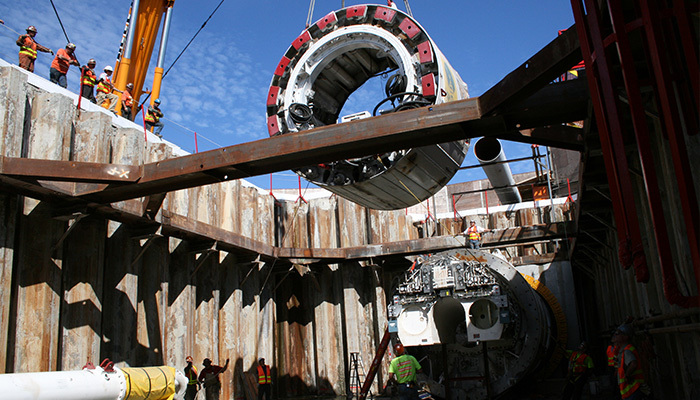 Section 4 required construction of 21,100 ft. of 13 ft. diameter precast concrete segment tunnel. 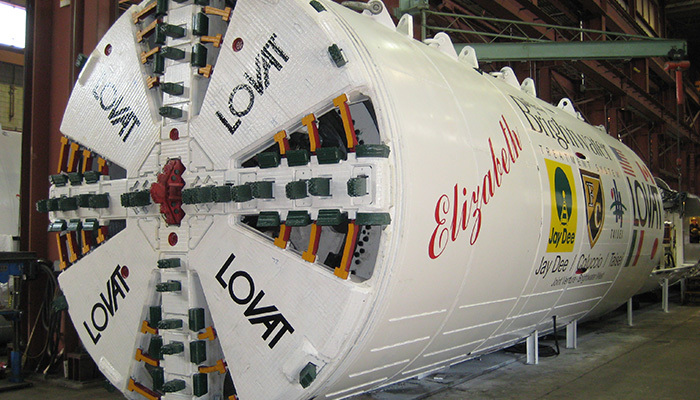 The tunnel was excavated utilizing a 15 ft. diameter earth pressure balance tunnel boring machine (EPBTBM). 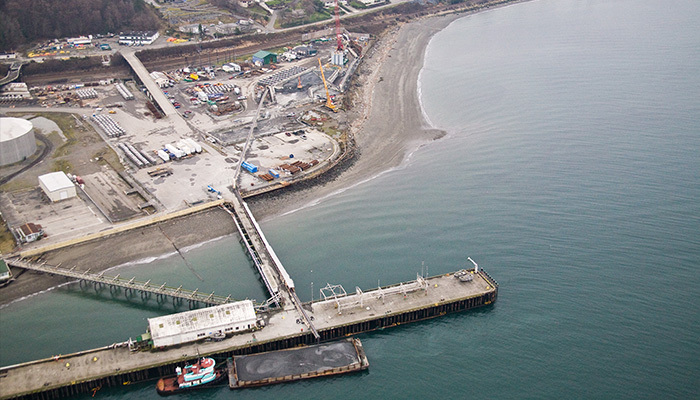 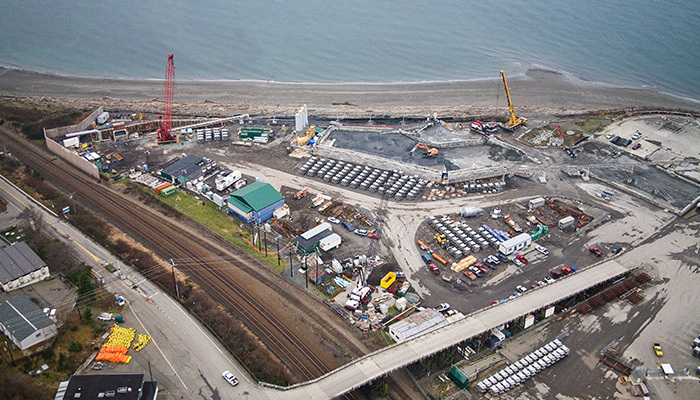 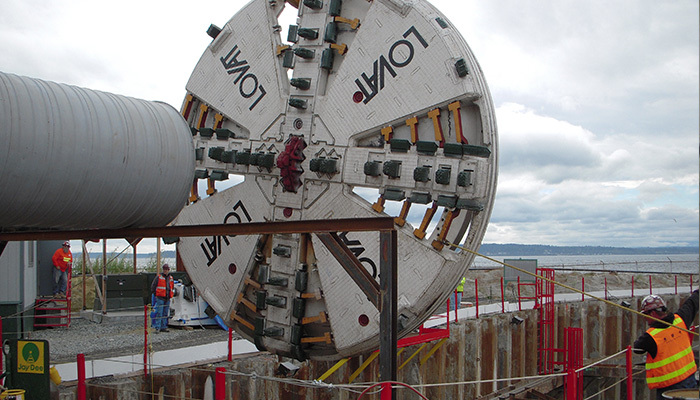 The tunnel was constructed from a single heading commencing from the Owner’s Port Wells Sampling Facility Site on the shores of Puget Sound and terminating into the Ballinger Way Access Shaft. 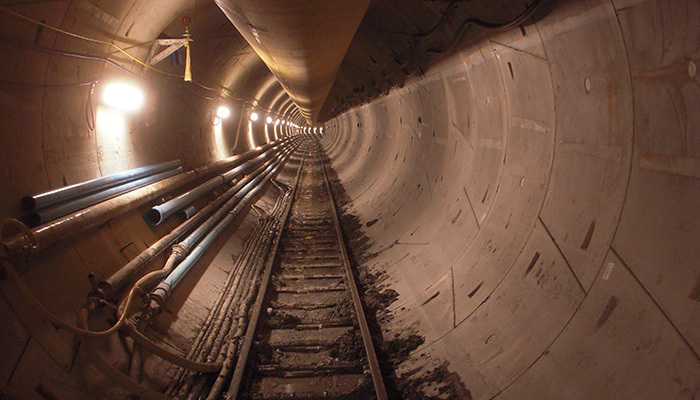 The tunnel lies within glacial and non-glacial deposits containing boulders and high permeability sands and gravels. 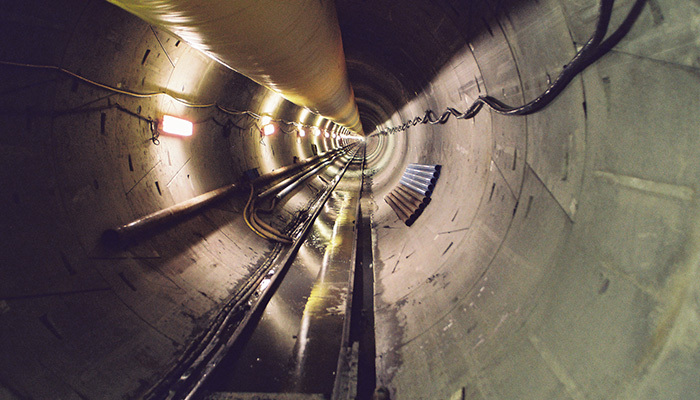 A unique challenge to the project was that all excavated spoil from the shaft and tunnel operations could not be removed from the site via the local road system. 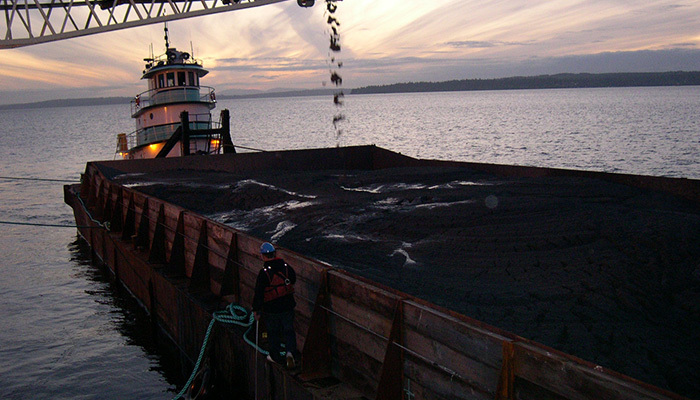 A conveyor system was designed and utilized to transport and load the spoil onto barges. 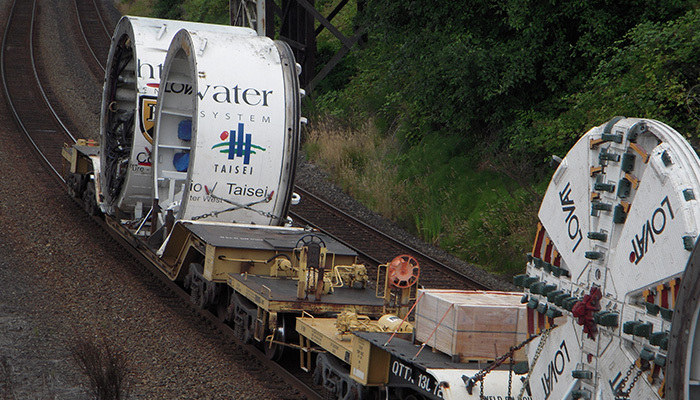 The barges then transported the spoil to the disposal site.